Treat yourself to some of Somerset’s finest food and drink. Frome is rapidly becoming the place to sample delicious local produce and cooking. Frome’s many markets are perhaps its food highlights. These include The Frome Independent, which takes place on the first Sunday of every month. Also on offer are the weekly Frome Markets (Wednesday and Saturday) and the Frome Country Market every Thursday. 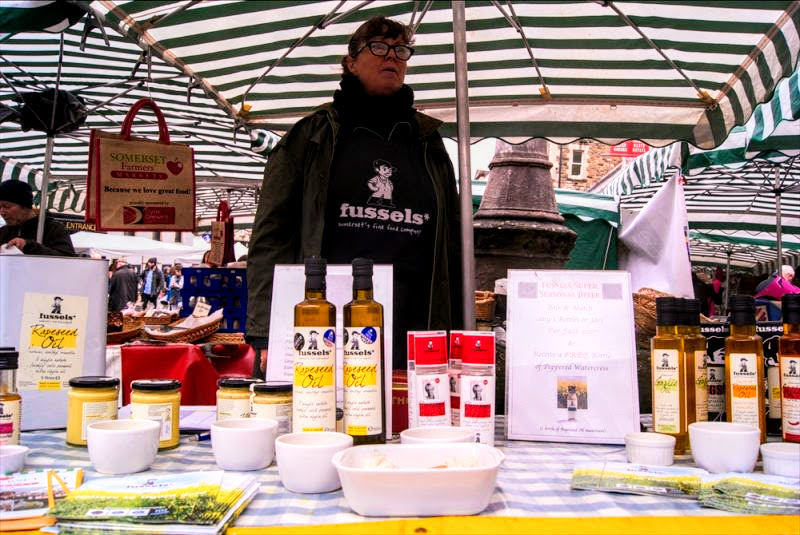 Further, on the second Saturday of every month, there is the Frome Farmers Market. You can also sample local food and drink at a number of delis and other outlets in the historic town centre. However, one of the best ways to enjoy Frome cuisine may be to sit down with a meal, a snack or a drink in one of its many eateries. May we tempt you with dining at our growing range of restaurants? Or possibly with a latte or light meal in one of our cafes, some of which now offer evening brasserie meals. Or you can join our friendly locals for some traditional fare at our many pubs. The Market Cross Cafe offers good quality, good value food. They are also open on Independent Market Sundays. A friendly cafe next to Nunney Castle. Serving coffees,teas, light lunches and homemade cakes. A place to enjoy before or after your walk. Takeaway serving kebabs, burgers, chips, pizza and fried chicken.